Today I’m excited to introduce Meesh from Right Where I Left Off. Meesh’s inspiring blog is part DIY and part fashion, with a little bit of travel thrown in for good measure. Meesh comes from the Bay Area in California – one of my all-time favorite destinations. Hi y’all, I’m Meesh from Right Where I Left Off! My hometown is technically San Jose, CA, but I generally call all of the Bay Area my home town. Growing up, my parents would take us out to explore new parts ranging from the beautiful beaches in Santa Cruz to wonderful hiking spots in the North Bay. I had a hard time narrowing it down to my top three places to visit based on categories ranging from museums, beaches, and so on. I left out coffee shops and food because there’s so many great places and I couldn’t settle on a top ten, let alone a top three. Stanford Rodin Sculpture Garden in Palo Alto, California: I may be biased because Rodin is one of my favorite artists, but it’s a great way to check out the beautiful Stanford campus and rub shoulders with some of the best and brightest. My favorite sculpture is the Gates of Hell; I can stand and stare at it for ages. Every time I go back, I find something new that I never noticed before! The de Young Museum in San Francisco: technically it’s only free the first Tuesday of the month for everyone and the first weekend of the month if you’re a Bank of America customer. It’s a solid museum that has constantly changing special exhibits that are truly great. San Jose’s Tech Museum: technically it’s only free the second Sunday of the month for everyone and the first weekend of the month if you’re a Bank of America customer. The museum is full of great tech activities for the young and old. My favorite are the wheelchair races! Savvy City has a great list of free days for most of the museums in the Bay Area that’s worth a look for when you’re planning a visit. Half Moon Bay’s Surf Beach: Maybe it’s because I love to people watch and the eye candy – maybe it’s because I like to surf myself. Either way it’s a great place to do both. If you don’t want to do either read on! Santa Cruz’s Sea Bright Beach: It’s between to the Santa Cruz Boardwalk and Santa Cruz harbor, and can get a bit crowded in the height of summer, but it’s a fun, bright, family friendly beach perfect for a few hours of sunbathing. San Mateo’s Bean Hollow State Beach: Get away from the crowds of other beaches by going to Bean Hollow! It’s also dog friendly, so you can spend the afternoon playing fetch with your pup without worrying about accidentally knocking someone’s sand castle over by a wayward ball or tail. San Francisco’s Land’s End: It’s a bit touristy, but still worth it for the views alone. It’s an easy, short trek to get to and has great views of the bay and the Golden Gate Bridge. You can continue hiking around the area past the labyrinth too! Cataract Falls: I found this gem from The Bold Italic’s list of 7 Best Waterfall Hikes. I’m working my way through the list slowly this year and so far it has not disappointed! They range from easy to difficult, a short hour long hike to an all-day eight hour one. Los Gatos’ Castle Rock: It’s a popular place for rock climbers, but there are several trails that range from easy to moderate that you can easily do quickly in an afternoon; my favorites are the Ridge Trails. It’s also extremely fun to watch the rock climbers or search and rescue teams practice on the boulders all around the park. For more from Meesh’s little corner of the world, check out her awesome blog, Right Where I Left Off. You can also find her on social media: Instagram Facebook Twitter . 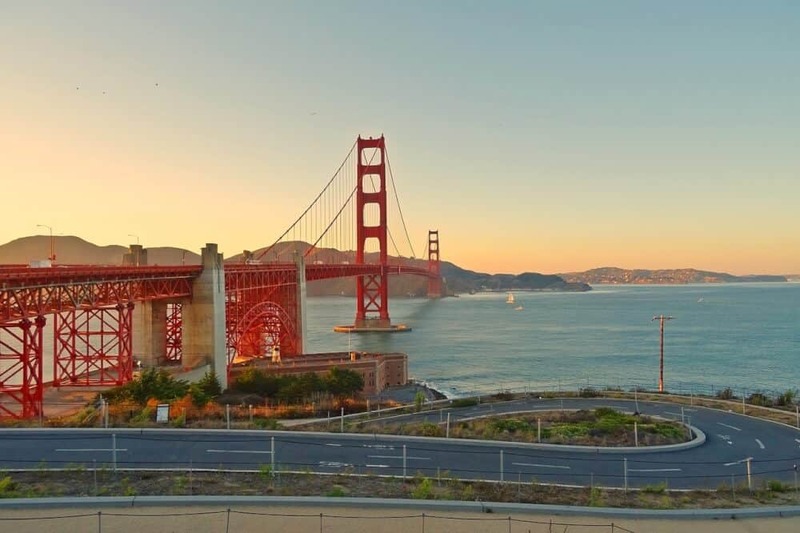 For more information abut exploring San Francisco, check out San Francisco in a Day by VeraVise Wow Travel. 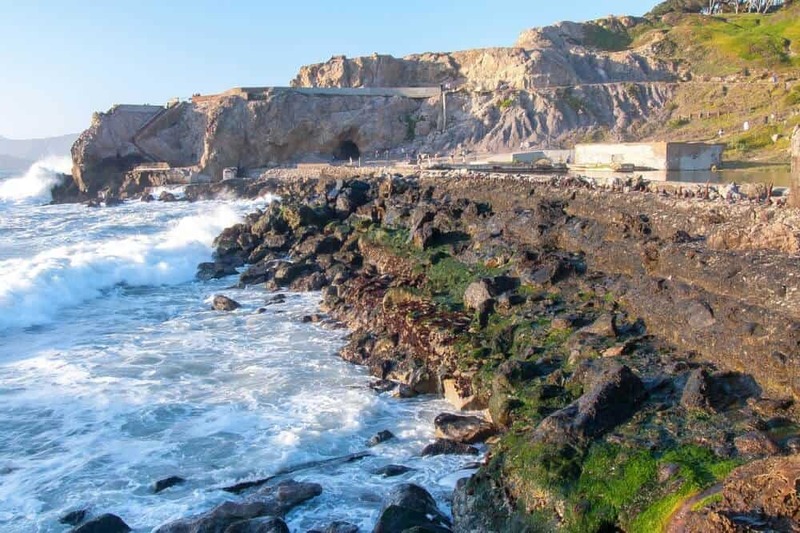 San Francisco is also a great starting point for a Pacific Coast Highway Road Trip, which meanders along one of the most beautiful roads in America. OMG Meesh, I grew up in San Jose. I’m not sure exactly where you’re located – but do you know Oak Grove High School? That’s my old stomping ground. Great list and I’ve been to all of them pretty much. Love driving out to Santa Cruz on the weekend to just relax, have some dip’ndots ice cream and have fun on the boardwalk. Great post – Meesh did a wonderful job of highlighting the best of my hometown area too! I’m from Santa Cruz and can definitely get on board with all of these recommendations. I would also add that Henry Cowell Park in Santa Cruz is a great place to go hiking as well. Love the Bay Area. I’m glad I got a fellow Bay Area native’s approval! I’m going to definitely check out Henry Cowell Park next time I’m down in Santa Cruz. Your part of the world looks amazing! Thanks for sharing it. I live in San Jose (Bay Area) too! Santa Cruz is one of my favorite places. Haven’t been to some of the places on this list so need to check them out! I’m so happy to have put some new places on your radar! It’s amazing how much the Bay Area has to offer and there are tons of hidden gems. This definitely inspires me to explore my own hometown as well! I’ve just recently been going out of my comfort zone to exploring new places and areas around my city! Hi Kiara, that’s great to hear! It’s amazing how many new spots you can discover in a place you think you know so well. I always wanted to go to California but is so damn expensive, your post makes me want to go even more and i also love museums. Thanks Anna-Maria! I hope you do get a chance to visit California some day soon! There are so many great things about the Bay Area, although, I’m not going to lie, I can do without the traffic. 😉 Love the Sutro Baths, one of my favorite places in the city and my kids love running around and exploring. Castle Rock is one of my favorite hikes. So gorgeous! Agreed! Do you like hiking it in the fall or spring better? I can’t decide if I like seeing the changing leaves or the early blooms more. Awesome list, I love museums!! Thank you for sharing this today! I’m visiting San Fran in June and have been looking for ideas that aren’t the “norm” these are fantastic! I loved reading about Mesh’s hometown! Definitely going to pin this to save for later! Thanks Tiffani, I hope you have an amazing trip in June! Don’t forget to pack layers because the fog can unexpectedly roll and make the temperature drop even in the summer. San Francisco is one of my favorite places in the world. I consider it a second home. I really want to go to Cataract Falls next time I’m in the area! Thanks Olya, I highly recommend it! Those beach photos are beautiful! Thanks Stephanie, the magic hour is around 7 during the summer!